Captain John Smith was an explorer who led Jamestown Colony, the first permanent English settlement in North America. He was a larger than life man who captured the imagination of historians and school children alike. His life was full of adventure and intrigue, but the facts most people know about John Smith are myths and legends instead of facts. Some of the biggest myths surrounding Captain John Smith are stories about him and Pocahontas. Pocahontas was an Indian girl, daughter of Chief Powhatan, who hung around Jamestown. According to legend, she was so in love with John Smith that when her father threatened to kill him, she begged for his life. Some even belief that John Smith and Pocahontas married. John Smith was the first to perpetuate part of this myth. He claimed that when he was captured by Indians, Pocahontas threw herself across his body to save him. The truth is historians belief John Smith might have exaggerated the story. Soon after the incident happened, he never mentioned Pocahontas' part in the Powhatans releasing him without harm. Over ten years later, Captain Smith told the harrowing tale in a letter to Queen Anne introducing Pocahontas and asking the queen to treat her with dignity. One historian, David A. Price, believes the incident might have happened but suggested Captain Smith was in no real danger. He could have been involved in a ritual that symbolized his death and rebirth as a member of the tribe. Whatever the case, Pocahontas and Captain Smith were not in love. When Captain Smith was captured, Pocahontas was only ten or eleven years old. It's also not true that she converted Captain Smith to the Indian religion. After spending years around the settlers at Jamestown, Pocahontas was converted to Christianity and took the name Rebecca. In 1614, she married John Rolfe, a tobacco farmer, and in 1616, she travelled to London with her husband where she died of an unknown virus. Another myth is that Captain John Smith was highly revered by the other colonists. This also is only partially true. During the voyage to the New World, the colonists for the Virginia Company had papers that were to remain sealed until they reached the new land. Apparently Captain Smith was involved in a mutiny aboard ship, and Captain Christopher Newport and the crew planned to execute him when they landed at Cape Henry. When they did arrive at Cape Henry, the letter was opened, and the colonists found out the man they were planning to execute was appointed one of the leaders of the new colony. This saved Captain Smith from the gallows. A year later, Captain Smith became the president of the council. He proved his leadership abilities, saving the colonists from starvation, by initiating strict policies including an order, “He that will not work shall not eat." He built the first well in the fort and repaired many of the buildings. Even though his leadership helped to save the colony, not everyone liked Smith. One night, while he was sleeping on the boat, a mysterious gunpowder explosion went off causing him to be injured. Some historians suggest it might have been an attempted assasination. Another myth is that Captain John Smith lived in Jamestown for the rest of his life. The truth is he arrived in Jamestown in 1607, became president of the council in 1608, and sailed to England because of his injury for the gunpowder explosion in 1609. Captain Smith never returned to Jamestown. He died in 1631 in England at the age of 51. During his years in England, John Smith encouraged colonization in America by writing accounts of his time there and giving detailed maps of the land. He was a major part of the Jamestown Colony even though he was only there for three years. 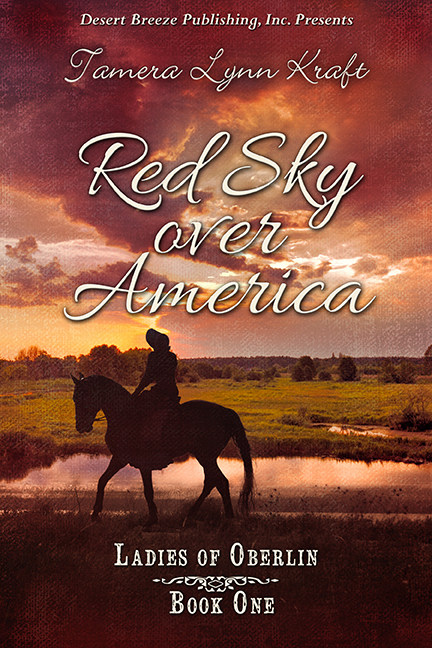 Tamera Lynn Kraft has always loved adventures and writes Christian historical fiction set in America because there are so many adventures in American history. Her Novels, Red Sky over America and Alice’s Notions and her novellas Resurrection of Hope and A Christmas Promise are available on Amazon and at Barnes and Noble. Interesting! Thanks for clarifying the legends. Very interesting. Growing up in Hampton, Virginia, our class field trips were always to Jamestown and Williamsburg. The area is filled with history. I've visited that area of the country before. I love it. Informative and interesting post, Tamera. Thank you for sharing. I finished Red Sky Over America over the weekend! Wow, what a fantastic story to read. Thanks so much, Marilyn. And thanks for taking the time to write that wonderful review. Years ago my husband and I went to Jamestown and Williamsburg for our anniversary. I really enjoyed "reliving history" there.